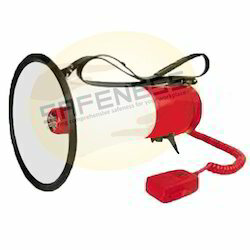 Leading Wholesale Trader of mega phone, loud hailer, single zone door frame metal detector, multi zone door frame metal detector, hand held metal detector and ladies frisking booth from Mumbai. Fostered with a team of highly experienced professionals, we are able to manufacture, export, retail and supply flawless quality Mega Phone. The offered phone is manufactured using supreme quality raw material and innovative technology by our adroit professionals. Our provided phone is tested on different quality measures so as to ensure its flawlessness. Apart from this, we offer this phone to our clients at market leading prices. 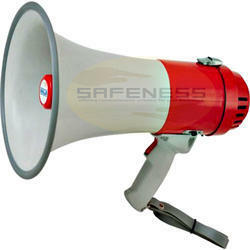 Usage To amplify voice and direct it in a given direction to produce clearly audible loud announcements. Design Compact design,Optimum performance and smooth finish. With our in-depth knowledge and experience, we are engaged in manufacturing, exporting, retailing and supplying a superior range of Single Zone Door Frame Metal Detector. Our provided metal detector is designed by our skilled professionals using the latest technology and quality proven raw material. In addition to this, our offered metal detector is highly praised in the market for its compact design, optimum performance and smooth finish. 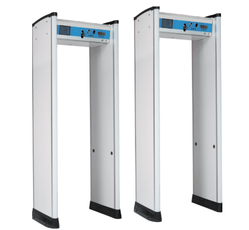 We have marked a distinct and dynamic position in the market by providing a high-quality Multi-Zone Door Frame Metal Detector. Our offered metal detector is highly demanded in the market for its various quality attributes. The provided metal detector is designed by our adroit professionals using optimum quality raw material and progressive technology in conformity with industry standards. Moreover, this metal detector is rigorously checked under the guidance of quality controllers against various quality parameters. 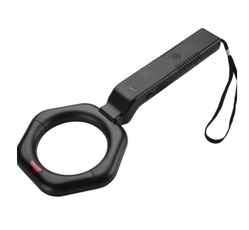 With the support of our experts and sophisticated in-house facilities, we have been able to provide an optimum quality Hand Held Metal Detector. Our provided metal detector is precisely designed using superior quality raw material and progressive technology. 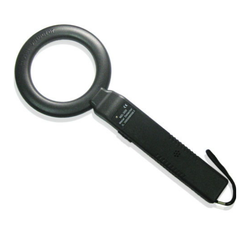 Additionally, this metal detector is stringently examined by our quality examiners on varied quality parameters. The offered metal detector is available in variegated technical specifications and sizes for our clients. Hand Held Metal Detector RE2003 is used to detects ferrous & non-ferrous metals providing uniform sensitivity and tip pinpointing with extreme accuracy. 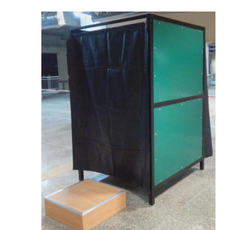 This security metal detector is ideally used for a body search and checking parcel to control the crowd at Airports, Docks, Borders, Exhibitions, Theatres & Auditoriums. Keeping track with the market development, we are engaged in supplying our clients Ladies Frisking Booth that have inner and outer smooth finish. Offered Frisking Cabins are designed with quality approved material and leading techniques in accordance with prevailing trends in the market . It is also checked on different parameters to dispatch a defect-free range at customer's end. 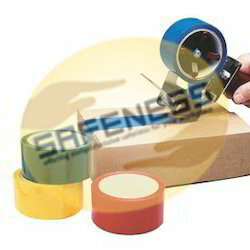 Color-Coded Shipping Tape is used to help sort the shipment by marking the different products with different color code. Polypropylene tape is 2" x 110 yards. Available colors are Black, Blue, Green, Red, White, or Yellow.